Apple’s Free App of the Week initiative has been all about games for the past few weeks, and this week is no different. Apple has made available for free a title from the famous Warhammer series, one which normally retails for $1.99 on the App Store. If you’re familiar with the franchise and what it usually entails, this is one offer you just don’t want to miss. 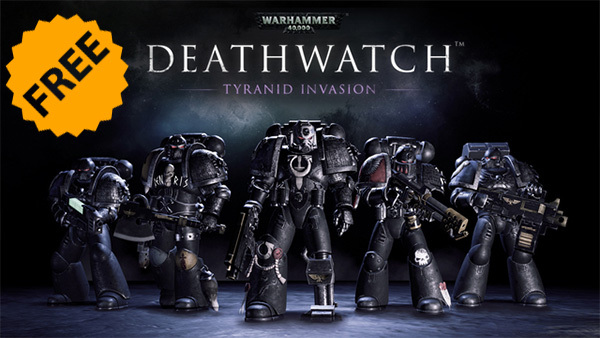 Warhammer 40,000: Deathwatch – Tyranid Invasion is a turn based strategy game that puts you in command of an elite group of Space Marines. 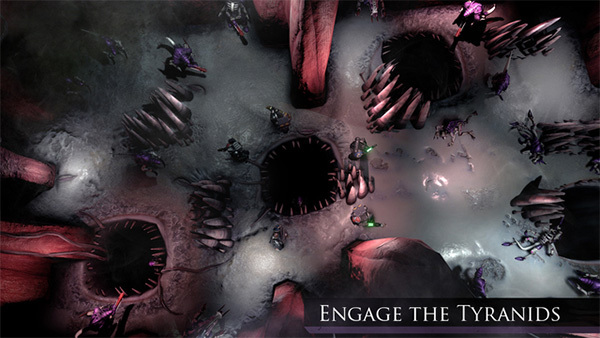 The entire game is “set on the edge of Imperial space, where your Space Marines will take on the Tyranids in a series of tactical engagements.” As the name of the game itself suggests, you’re faced with an invasion of Tyranids that are insect-like creatures and your job is to fight it off, which as mentioned earlier, is through a series of turn-by-turn tactical moves. There are a total of 40 action packed missions which will take you through war ravaged cities, to the insides of Tyranid bio-ships. On your journey you will be looking to unlock key upgrades to really evolve your “Kill squad” as the levels get tougher and tougher by each mission. 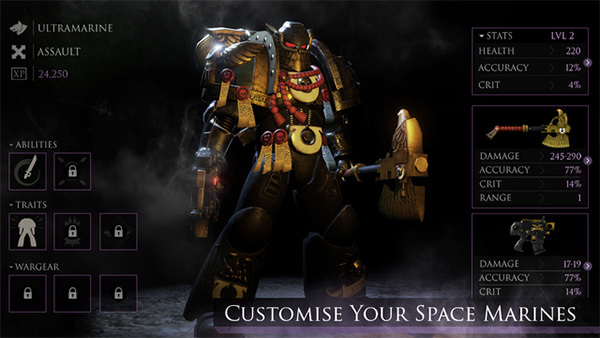 There are 38 Deathwatch Space Marines to make use of that can be equipped with over 150 weapons and wargear items which can be collected over the course of your mission. Most strategy games involve the age-old game play of building bases and commencing from there, but this particular title puts you directly in the action with your marines. That action is supplemented with some gorgeous graphics, which honestly comes as no surprise as mobile games have evolved a lot in the last few years. This is the first game to have been built using the Unreal Engine 4, giving the game a terrific feel when in the middle of some fast paced actions. It is precisely for this reason that the developer has made the game compatible with iPhone 5 and over, and iPad mini 2 and over. You will also need to be running iOS 8 or higher to dive into the action. Warhammer 40,000: Deathwatch – Tyranid Invasion is available for free until next Thursday after which it will be back to its normal price. This is the first time that the title has shed its price tag, so if you’re a fan of the Warhammer franchise, go download it now.